The weather this month has been very cooperative, allowing us to move dirt away from the vines much sooner than previous seasons. The picture of the disc was taken before the dandelions pushed out of the ground. The winter was tolerable until February 14 when the temperature dropped to 23 degrees below zero. The buds of the European grapevine are not hardy enough to handle such extreme temperatures. Therefore we are waiting to prune until the buds have pushed so we can assess the bud damage. 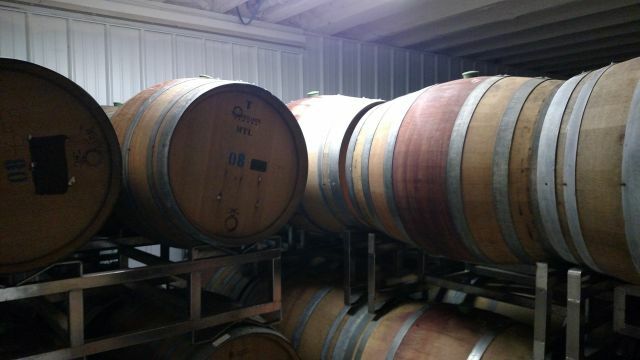 This blog will cover the current stage of growth and tasks being performed in the vineyard and some photos of the site. Stay tuned for season updates. In cold weather, grape growers have to protect the vines from the cold. The graft union is the most susceptible to vine killing damage. At our farm we use soil to protect the graft union and fruitful canes. After harvest we tie canes to a catch wire and lay it on the ground next to the trellis. 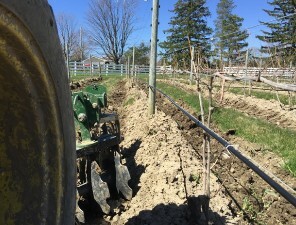 Next we plow dirt to cover the canes and graft union. After the threat of negative temperatures we remove dirt and bring up the canes. The canes are up out of the dirt and ready to be tied to the fruit wire for the season. The picture is of the implement we use to pull the first passes of dirt back into the aisle. The first days of May bring rain that April didn’t. It’s the first Monday in April and I am sitting at a screen not a steering wheel because of constant precipitation. This time of year when the rains hit we keep equipment out of the vineyard to prevent rutting of the aisles. I figure it a good time to introduce myself. 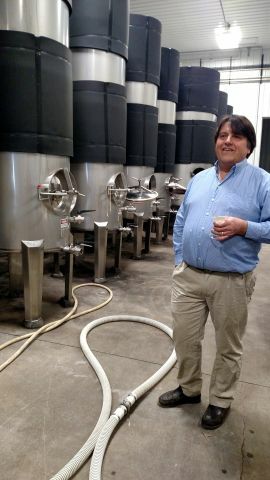 My name is Chris Fluri; I am the vineyard manager at White Birch Vineyards. My vineyard experience until this location has been west of the Mississippi. I tended vines in California and Washington State before New York. The main difference between growing grapes on this side of the Mississippi is keeping the vines protected from the damaging winter temperatures and dealing with the relative humidity during the growing season. In the months to come I will give an insight to the different practices and techniques between the growing regions. 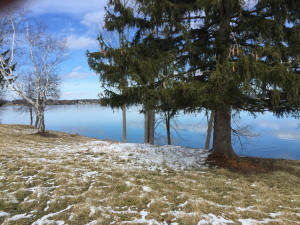 Welcome to White Birch Vineyard’s blog about our vineyard located on the west side of Skaneateles Lake in Central New York’s Finger Lakes. Here is a quick technical breakdown of the vineyard: Planted on a 30 acre site at an elevation between 863 and 996 feet are ten different varietals of wine grapes. 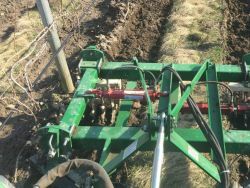 The first planting started in 1999 with Pinot Noir, Gewurztraminer, Cab Franc, Riesling and Chardonnay. Every couple of years for the next six years the planting continued. 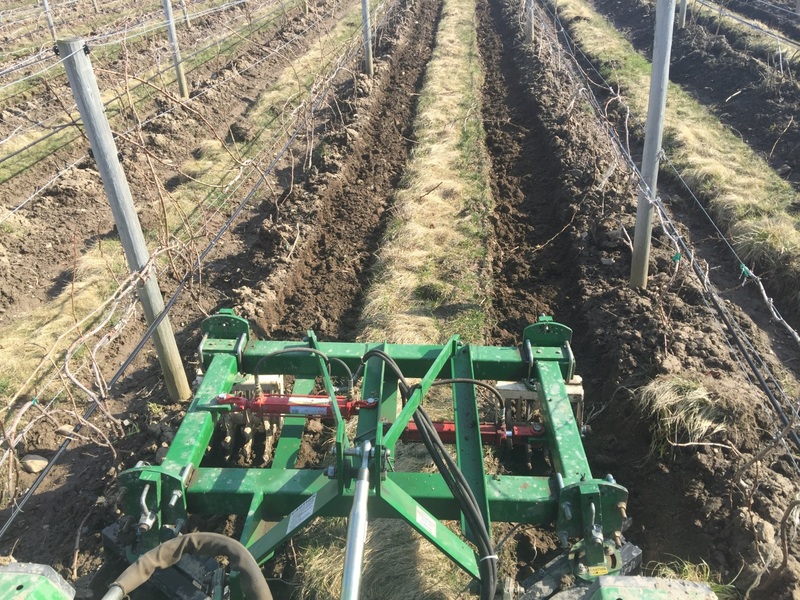 When all the planting work was done, the vineyard had gained Cab Sauvignon, Lemberger otherwise known as Blaufrankisch, Merlot, Pinot Gris, and Sauvigon Blanc. The most planted varietal is Riesling making up about half of the acreage. Riesling is a wonderful varietal for this growing region having a great final product that expresses the location and growing season. In the early years of the vineyard the fruit was sold to many of the wineries in the Finger Lakes with small amounts vinified for the owner’s enjoyment. The 2015 vintage of White Birch wines is nearly ready! The Sauvignon Blanc and Pinot Gris will be the first wines to hit the shelves in a few weeks. 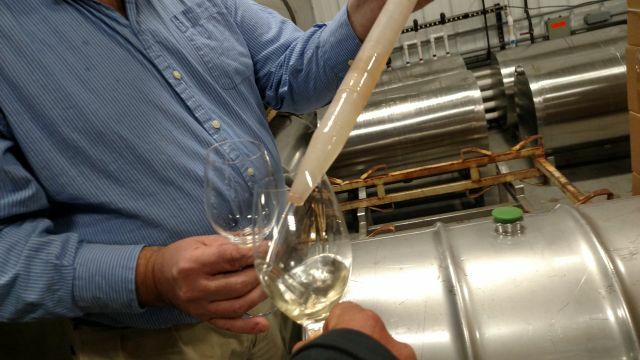 After a wonderful tasting with our winemaker, the great Morten Hallgren of Ravines Wine Cellars, we’re looking forward to the next batch of great White Birch wines. 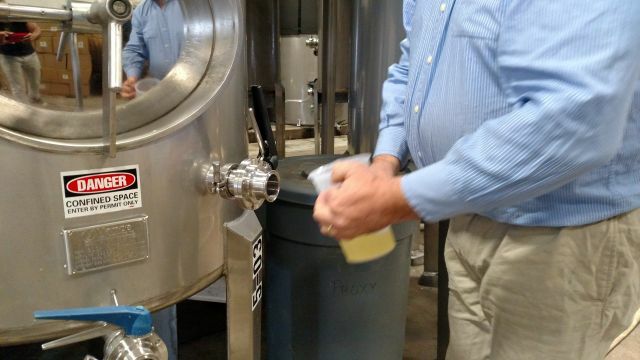 Tasting straight from the barrel is quite the process, involving a fun, syringe-like gadget called a Wine Thief. After a quick dip into the barrel, the thief pulls out a sample of young wine. Our Sauvignon Blanc displays crisp citrus flavors with a clean finish. The Pinot Gris is light-bodied and easy drinking. Both wines are stunningly refreshing and will be fantastic for summer picnics or trips out on the boat. Our Dry Riesling is the final of the unoaked white wines, with a delightfully peachy character. All three will be on the shelves of our tasting room in the next couple of months!